The death of Judd Foxman’s father marks the first time that the entire Foxman family—including Judd’s mother, brothers, and sister—have been together in years. Conspicuously absent: Judd’s wife, Jen, whose fourteen-month affair with Judd’s radio-shock-jock boss has recently become painfully public. Simultaneously mourning the death of his father and the demise of his marriage, Judd joins the rest of the Foxmans as they reluctantly submit to their patriarch’s dying request: to spend the seven days following the funeral together. In the same house. Like a family. 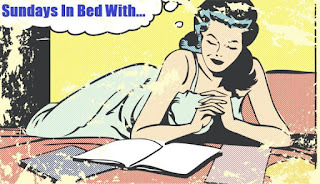 As the week quickly spins out of control, longstanding grudges resurface, secrets are revealed, and old passions reawakened. For Judd, it’s a weeklong attempt to make sense of the mess his life has become while trying in vain not to get sucked into the regressive battles of his madly dysfunctional family. All of which would be hard enough without the bomb Jen dropped the day Judd’s father died: She’s pregnant. 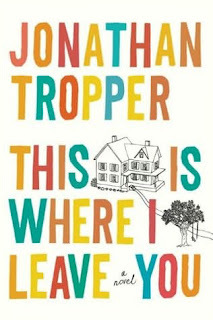 Our March book club pick was This is Where I Leave You by Jonathan Tropper. Overall most of us seemed to like/enjoy the book. It was quirky and funny, two things I definitely appreciate. That is not to say it wasn't without it's issues. None of the characters were particularly likeable, they had some major flaws and made bad choices for days. We also watched the movie which I felt that they did a pretty good job on, except I was seriously irritated at the name changes. Jen to Quinn for example, I just felt that it was unnecessary. 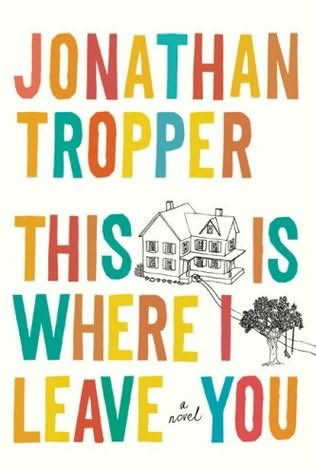 I would definitely recommend this for a book club in the future, there was plenty to talk about!